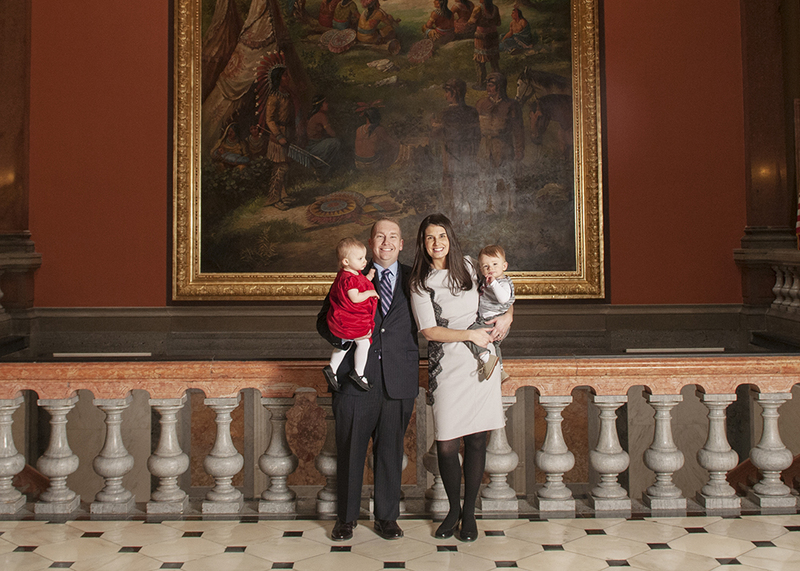 State Senator Scott Bennett (D-Champaign) is a fifth-generation Central Illinoisan. Before joining the Illinois Senate, Bennett was a Champaign County Assistant State's Attorney. Bennett grew up in Gibson City, where five generations of his family worked on their family farm. He moved to Champaign-Urbana to attend law school at the University of Illinois after graduating from Illinois State University. He is the past President of the Urbana Rotary, Co-Chairperson of the United Way’s 2015 Ready.Set.Grow! Young Children’s Expo, a 2016 Edgar Fellow, a member of the Community Justice Task Force as well as many other civic organizations. As an attorney and prosecutor, Bennett has seen the firsthand dangers that accompany a lack of educational and employment opportunities for community youth. He draws on those experiences to fight for education funding and economic development opportunities for the 52nd State Senate District. Bennett's first priority as state senator has been to protect the Mahomet Aquifer. The Aquifer serves as the primary water supply for 15 counties across Central Illinois including Champaign and Vermilion counties. He is working to find a permanent solution to protect our children and children for generations to come to ensure they can rely on this tremendous resource. Bennett serves on the Agriculture (Vice Chair), Appropriations II, Criminal Law (Chairman), Gaming, Higher Education and Labor Committee. Senator Bennett also chairs the Subcommittee on Public Higher Education Administrative Costs, Tuition and Fees as well as the Subcommittee on Confined Animal Feeding Operations. Senator Bennett lives in Champaign with his wife and two children.